Different geologists and economists confirm that Palestine lies above vast reservoirs of oil and gas wealth, although this collides with the fact that the Palestinians are facing a “major stumbling block” preventing them from exploiting such riches, which is the Israeli occupation that has been controlling all natural resources and their development since 1967. However, according to scientific studies on undiscovered oil and gas resources in Palestine, layers of sediment are believed to be in depths ranging between 1000 to 6000 meters and at temperatures between 60 to 150 degrees Celsius, and this is where oil can be found in large amounts, while gas can be in depths beneath that. 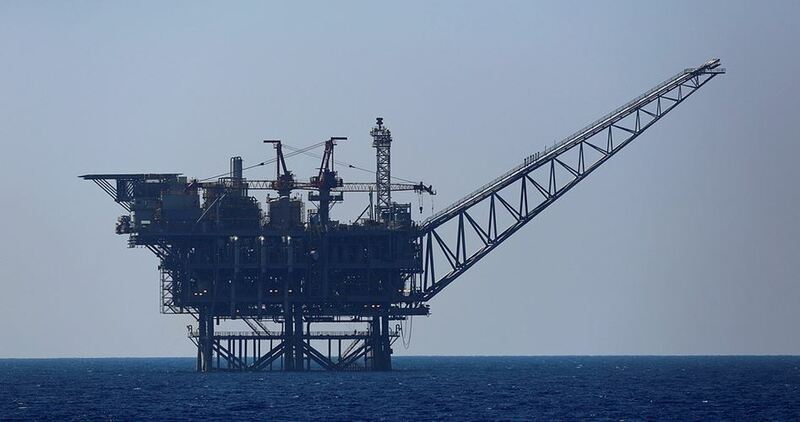 A study conducted in 1930 says that the Palestinian maritime zone is considered geologically one of the most promising areas regarding oil and gas discoveries. The US Geological Survey (USGS), one of the world’s most reliable scientific agencies, is well known for providing assessments on locations and amounts of fossil fuel around the globe. It released a study in March 2010 on undiscovered oil and gas resources of the Levant Basin Province, particularly in the eastern Mediterranean. The Levant Basin Province encompasses approximately 83,000 square kilometers of the eastern Mediterranean area. The area is bounded to the east by the Levant Transform Zone, to the north by the Tartus Fault, to the northwest by the Eratosthenes Seamount, to the west and southwest by the Nile Delta Cone Province boundary, and to the south by the limit of compressional structures in the Sinai. The USGS estimated a means of 1.7 billion barrels of recoverable oil and a mean of 122 trillion cubic feet of recoverable gas in the Levant Basin Province. This means that this basin is one of the most important gas resources in the world. It is located off the coast of Gaza at a depth of 779 meters below sea level. Production from the field started in June 2012. It is also located off the shore of Gaza to southeast of Noa field. Production started in March 2004, with a total productivity of about 1.1 trillion cubic feet of natural gas. It is located roughly 90 kilometers west of Haifa city, at an overall depth of about 1,700 meters below sea level. In March 2013, natural gas started to flow from the Tamar reservoir, with total production estimated at 8.4 trillion cubic feet. There are Israeli talks with Cyprus and South Korea to export gas to them from this field. It is 130 kilometers away from west of Haifa’s coast and considered the largest deep water gas discovery in the Levant Basin. It is estimated to hold 18 trillion cubic feet of natural gas reserves. It was discovered in December 2010 and might start its gas production in 2019. It is 40 kilometers south of Tamar and 60 kilometers off Israel’s Hadera coast. Its total gas reserves are about 0.53 trillion cubic feet. It was discovered in 2009. They were offshore drilling licenses located 40 kilometers off the coast of Netanya (Israel). They were situated south and southwest of the Dalit gas field and southeast of the Leviathan gas field. A preliminary geological survey carried out in 2010 estimated there could be upwards of 6 to 7 trillion cubic feet of natural gas in the fields. Exploratory drilling in the area in 2012 was unsuccessful, but seismic studies indicated the possibility of oil and gas at deeper strata that were not explored. It is a natural gas reservoir located 120 kilometers off Israeli shores. It was discovered in 2012, and preliminary estimates put the potential for natural gas at Tanin at about 1.1 trillion cubic feet. It is about 110 kilometers from the coast of Haifa city, with total gas reserves estimated at about 550 billion cubic feet. It was discovered in November 2011. It is located 36 kilometers from the coast of the Gaza Strip, and was discovered in 2000 in waters that are legally under the control of the Palestinian Authority. It contains about 1.4 trillion cubic feet of natural gas, which meets the needs of the Palestinian territories and can be exported as well. The field is still unexploited because of Israel’s attempt to take it over. It was first discovered in the 1980s and began production in 2010. It produces oil as well as some natural gas. It is located inside the occupied West Bank, but Israel persistently claims that it is west of the armistice line of 1948. The oil reserves of Meged are about 1.5 billion barrels of oil and 182 cubic feet of gas. Most of the reservoir is situated beneath the 1967 occupied Palestinian territory. Since 1970, Israel has been plundering illegally oil and gas resources in the Palestinian territories under its occupation, and intensified such practices after the signing of the Oslo Accords. It has allowed itself to control and use the Palestinian natural resources to the benefit of Israeli citizens and corporations, and not the local population. 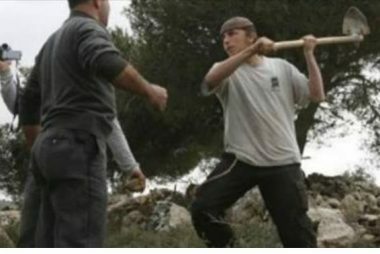 Several extremist Israeli colonists attacked, Friday, a Palestinian man, while picking his olive trees, in his orchard, in the al-Khader town, south of the West Bank city of Bethlehem. 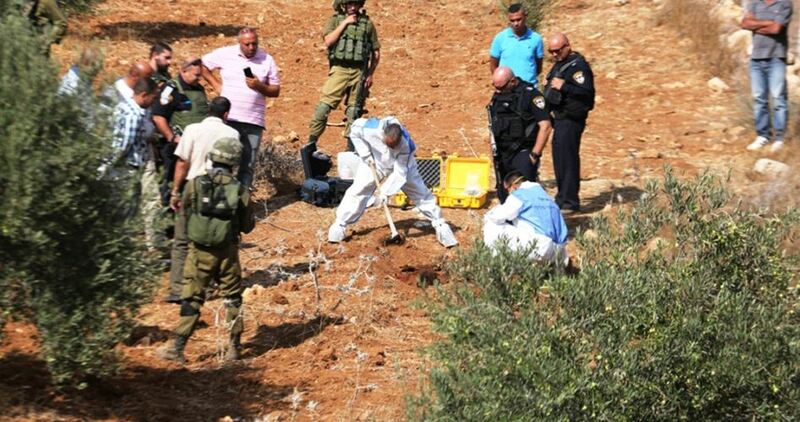 The colonists attacked the man, Ibrahim Mohammad Sbeih, 58, in his olive orchard in the al-‘Amara area, close to the illegal Sidi Boaz colonialist outpost. Palestinian medical sources said the man suffered several cuts and bruises to his head and chest. 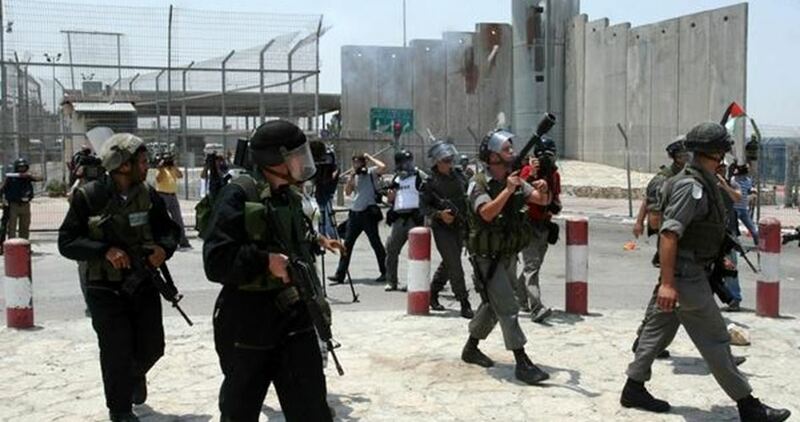 Ahmad Salah, the coordinator of the Popular Committee against the Annexation Wall and Colonies in al-Khader, said the Palestinian was attacked by the colonists, who tried to occupy his land, 4 Dunams, by placing fences, to encircle it. The lands in question are planted with Olive trees, and grapevines, Salah added. It is worth mentioning that the attack is one of the frequent assaults by the colonists, against the Palestinian and his brothers, as the colonists are trying to illegally confiscate their lands, and frequently prevented them from entering them. The Israeli Occupation Forces (IOF) continued, Friday evening, attacks on Palestinian farmers working in their agricultural lands, located near the apartheid wall. Local sources affirmed to the PIC reporter that IOF stormed overnight Zabouba village, west of Jenin, and detained two minors while picking olive trees. The two minor detainees were taken to the nearby Salem military camp for investigation before being shortly released. IOF soldiers are used to move from Salem military camp into the nearby Palestinian villages, forcing local farmers to leave their agricultural lands. Such Israeli attacks notably escalate during Palestinian olive harvest season. 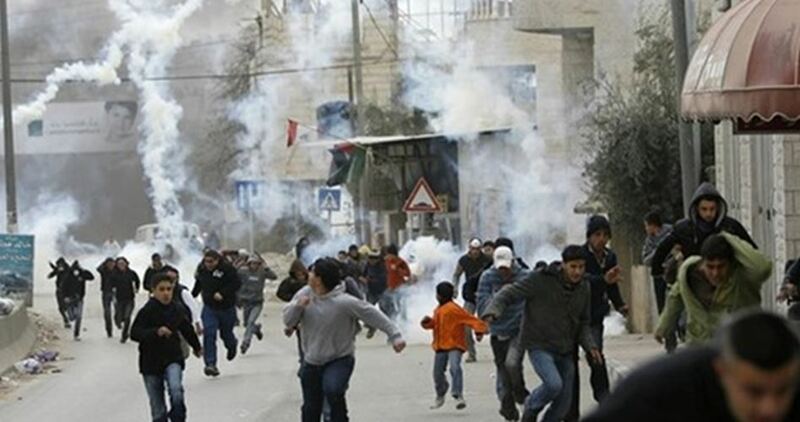 Several injuries were reported when clashes broke out in Beit Umar town north of al-Khalil after Israeli Occupation Forces (IOF) stormed the town amid heavy fire of teargas bombs. Local activist Mohamed Awad affirmed that the confrontation erupted when IOF violently stormed the town and fired teargas bombs at local residents, injuring many of them. Meanwhile, IOF continued its nearly-daily break-ins into al-Duhur agricultural area in the city in total provocation to local farmers. Israeli navy ships opened fire, on Thursday evening, on Palestinian fishing boats, in the northern part of the Gaza Strip, wounding one fisherman with a live round. Eyewitnesses said the navy fired many live rounds at Palestinian fishing boats in the al-Waha area, in the Sudaniyya Sea shore, northwest of Beit Lahia. They added that the navy wounded a fisherman, 19 years of age, with a live round in his leg. 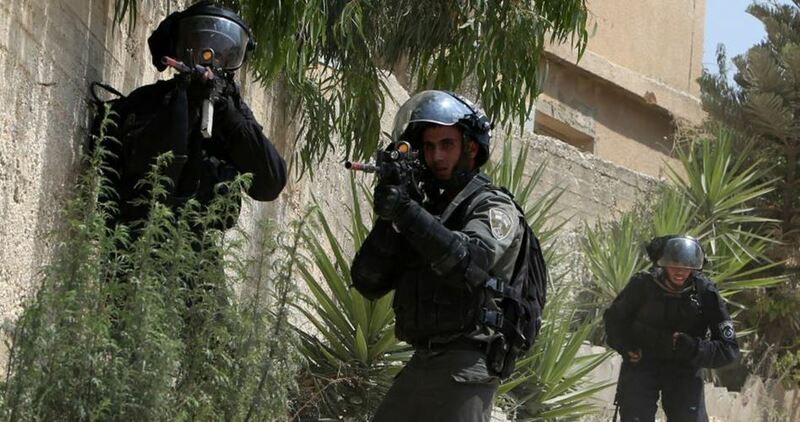 The Israeli occupation forces (IOF) at dawn Thursday kidnapped two Palestinian young men from their homes in the new Askar refugee camp, east of Nablus, raided the industrial zone in Jenin city and confiscated money from a house in Qabatiya town. According to local sources, Israeli troops stormed the new Askar camp and kidnapped two young men called Ra’fat Abu Hadib and Sajed Araishi. The troops also broke into and ransacked several homes in the new and old Askar camps. In Jenin city, the IOF stormed at dawn the industrial zone, raided installations, confiscated a concrete mixer, and clashed with local young men in the area. An Israeli military force also stormed Qabatiya town, south of Jenin, violently raided and searched the house of Abdullah Abul-Rub and seized a large sum of money belonging to him. The force put up a notice on the house’s door, claiming the money was confiscated because it would be used to support "terror activities". A Jewish settler on Wednesday evening assaulted a Palestinian elderly woman in Jit village, west of Nablus city in the occupied West Bank, while others stole olive crops in the southern town of Qaryut. 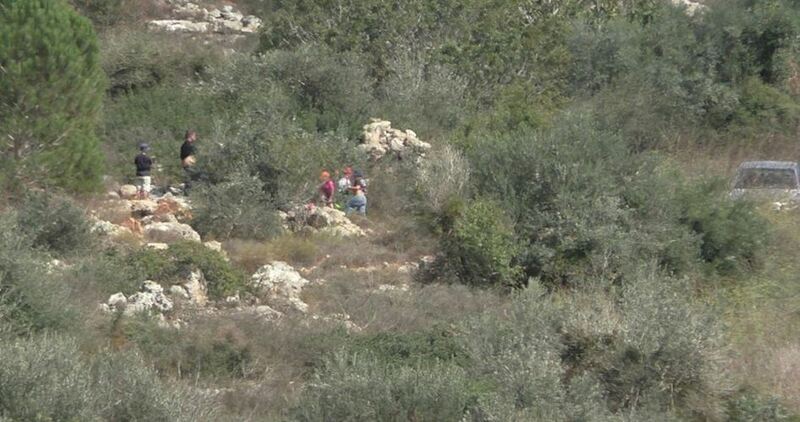 Activist Zakaria Sadah, field coordinator at Rabbis for Human Rights, reported that a settler from Havat Gilad outpost brutalized an old female farmer woman called Fatima Arman, expelled her from her land under threat, and ripped out bags of olives she was carrying into thorny bushes. Sadah affirmed there was prior coordination with the Israeli military authorities to allow local farmers to access their lands in the area. In another incident, Sadah documented with photos widespread acts of sabotage committed by settlers in olive groves in Qaryut town, south of Nablus. He said that a group of settlers made off with a large number of olive fruits from dozens of trees in the area, accusing the Israeli police of being lenient with settlers who commit crimes against Palestinian farmers and their lands in the West Bank. He added that the police released a settler notorious for stealing olive crops from Palestinian groves a few days ago and only decided to give him a written order prohibiting him from getting near Palestinian agricultural areas during the olive harvest season. 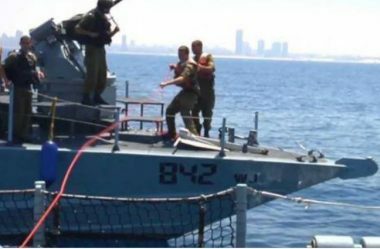 Israeli navy ships attacked, Tuesday, many fishing boats, in Palestinian territorial waters in the besieged Gaza Strip, and capsized one of them after firing shells and live fire at it. 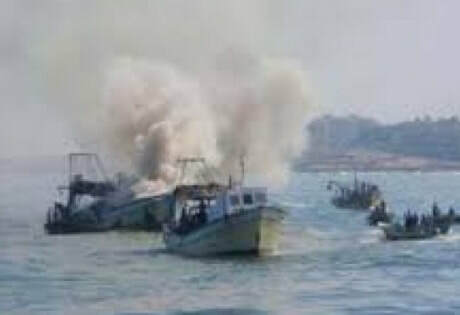 The WAFA Palestinian News Agency said the navy fired many live rounds at fishing boats in the Sudaniyya Sea area, northwest of Gaza City, and sprayed them concentrated water, causing serious damage. The boats were in Palestinian territorial waters, less than four miles from the Gaza shore; the fishers jumped into the water and swam to shore in fear of further navy fire and violations. 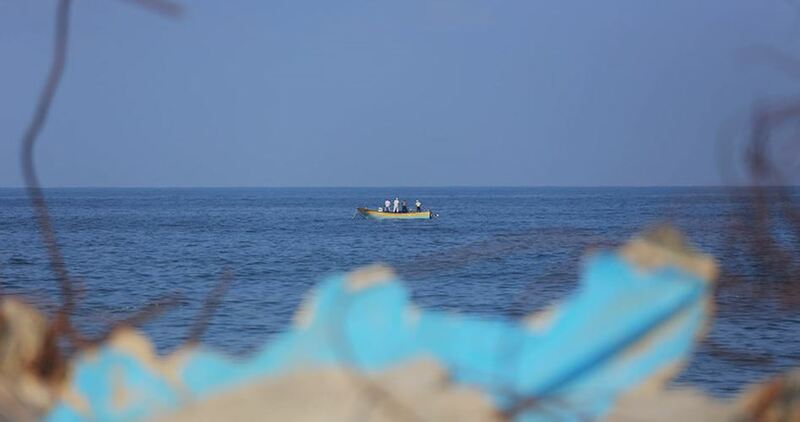 The attack came shortly after a similar assault targeting a Palestinian fishing boat, west of the Sudaniyya Sea. 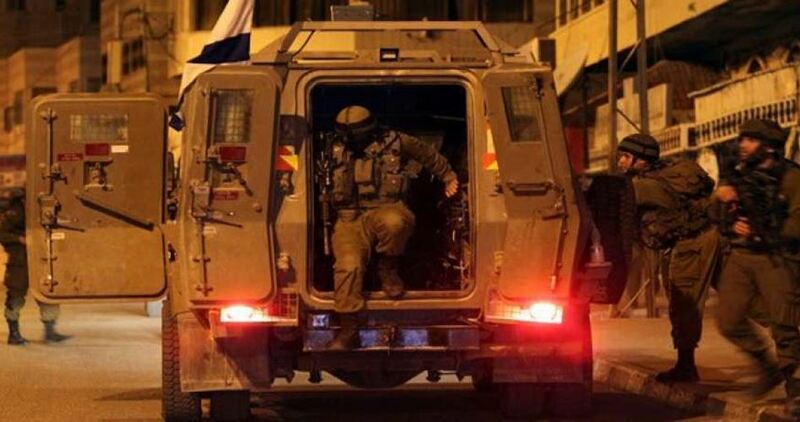 Israeli soldiers abducted, Tuesday, four Palestinian farmers, and illegally confiscate a car that was transporting them, in the ar-Ras al-Ahmar area, south of Tubas, in northeastern West Bank. The soldiers stopped a car transporting farmers to their lands, south of Tubas, abducted four of them, and illegally confiscated the car. In addition, the soldiers chased many farmers in the area, forcing them out of their lands, and tried to abduct some of them. The Israeli occupation forces (IOF) on Tuesday morning destroyed walls surrounding cultivated Palestinian lands south of Nablus province, in the northern West Bank. 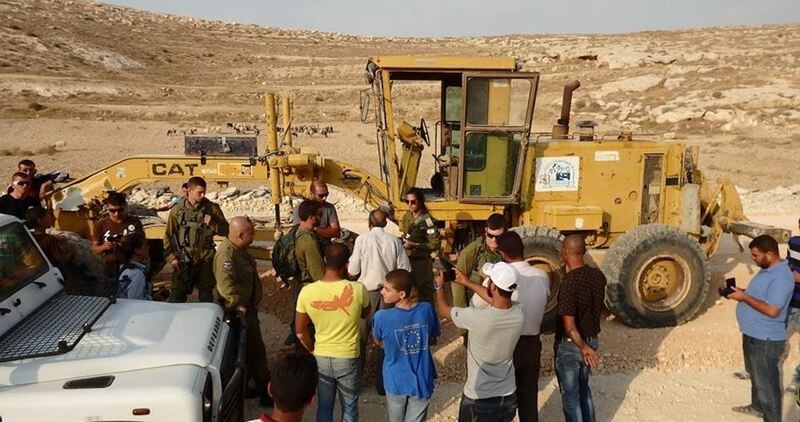 According to the head of Qasra’s village council, Abdul Adhim al-Wadi, Israeli bulldozers and army jeeps rolled into al-Wa’ar and Ras al-Nakhla, south of Qasra, at the crack of dawn, before they embarked on a large-scale leveling operation. The occupation soldiers forced the Palestinian locals out of the area and proceeded with the demolition of stone walls recently built to protect cultivated land lots from abrupt assaults by Israeli settlers and untamed animal herds. Sometime earlier, the Israeli occupation authorities handed over demolition writs to the land lords on account that the targeted tracts are located in the Israeli-run Area C.
On Monday, at dawn, Israeli settlers robbed olives from Al-Janiya town, west of Ramallah, and al-Sawiya town, south of Nablus, in the occupied West Bank. Ghassan Douglass, a Palestinian official in charge of settlement activity in the northern part of the occupied West Bank, said that residents of Beit Ra’anan settlement stole olives from Palestinian lands belonging to Ayed Mazloum, in Al-Janiya town, west of Ramallah. Douglass further added, according to Al Ray, that others from the Rahalim settlement stole olives from a land belonging to Palestinian Ali Taher, in Al-Talmah area, near Al-Sawiya town, south of Nablus. Israeli authorities reportedly announced, Monday, that they would be expanding the designated fishing zone off the coast of the Gaza Strip from 6 to 9 nautical miles, starting Wednesday October 18th, 2017, according to Israeli media. Reports said that Israel demanded all Gaza fishermen “not violate” the boundaries of the designated zone, threatening them with immediate punishment. Meanwhile, head of the Gaza Fishermen’s Union Nizar Ayyash denied, to Ma’an News Agency, any knowledge of the new Israeli decision, saying that the union did not receive any calls in this regard from any official sides. The exact limits of the zone are decided by the Israeli authorities and have historically fluctuated, most recently extended to six nautical miles from three, following a ceasefire agreement that ended Israel’s 2014 offensive on the Palestinian territory. Israeli naval forces often open fire on fishermen within these limits, putting their lives in danger on a near-daily basis. Due to the high frequency of the attacks, live fire on fishing boats often goes unreported. The Israeli army often says in such circumstances that the use of live fire is necessary to deter potential “security threats,” a policy that has in effect destroyed much of the agricultural and fishing. Palestinian Agriculture Ministry said that Israeli Occupation Authority (IOA) has announced that Israel will temporarily expand the fishing zone for Palestinians in the blockaded Gaza Strip. Adel Attallah, the director general of Fisheries in the Ministry of Agriculture, said that from Wednesday afternoon, fishermen in southern Gaza will be able to sail up to nine nautical miles in Gaza sea instead of 6 miles. 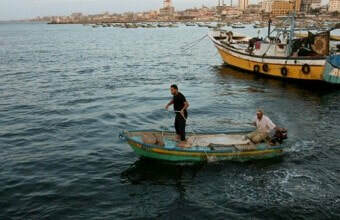 Fishing limits off the northern part of Gaza will remain unchanged at six miles, he pointed out. He added that the expansion will last for six weeks only, according to Civil Affairs Ministry. Attallah stressed the necessity to have the fishing area extended permanently. The Israeli Occupation Forces (IOF) attacked Monday evening Palestinian farmers in Rumana town west of Jenin, and forced them to leave their agricultural lands. The PIC reporter quoted local sources as saying that IOF moved from Salem military camp and deployed throughout the nearby agricultural lands. 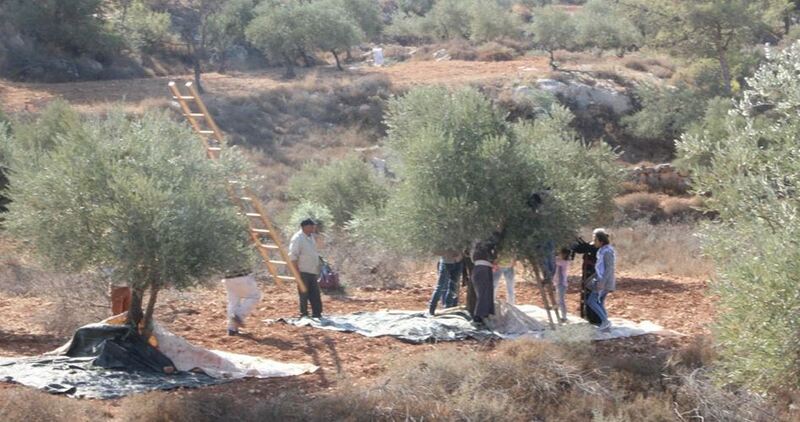 IOF forced local farmers, who were picking olive trees, to leave their lands. Along the same line, a military checkpoint was erected at the entrance to the town. Israeli Occupation Forces (IOF) arrested on Saturday three Palestinian farmers from Tubas in the West Bank. The Palestinian official in charge of the Jordan Valley file in Tubas, Mutaz Besharat, said that IOF soldiers raided al-Ras al-Ahmar area south of Tubas, arrested the three farmers, and confiscated their agricultural equipment. A group of Israeli settlers surrounded a Palestinian family while they were picking olives on their private land east of Nablus in the northern occupied West Bank on Saturday morning. A local source told PIC that a number of settlers from the illegal Alon Moreh settlement surrounded Abu Yasser family while they were picking olives on their land in the outskirts of the village of Deir Hatab and threatened to kill them if they don’t leave the area. 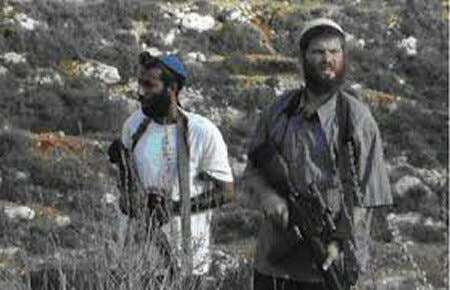 Local residents immediately rushed to the area and forced the settlers to leave before an Israeli patrol arrived. During olive harvest season, settlers’ attacks on Palestinian harvesters and their olive groves have been a near daily occurrence in past years. A group of Israeli settlers on Friday stole olive crops from 420 olive trees in the villages of Qaryut and Awarta to the south of Nablus city. 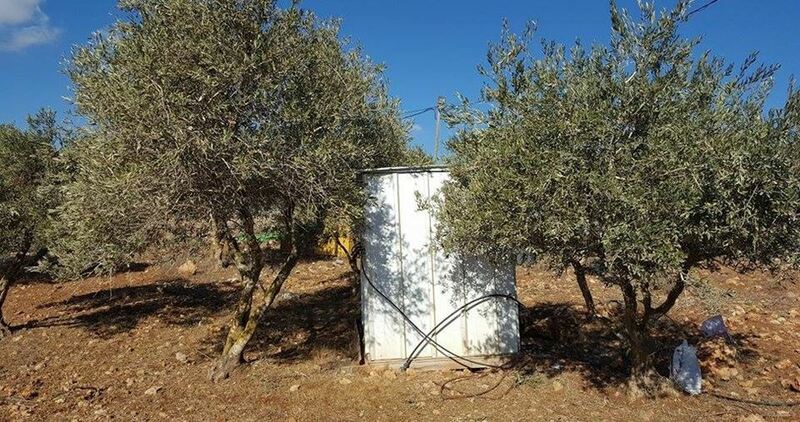 Anti-settlement activist in the northern West Bank, Ghassan Daghlas, said that the Israeli settlers stole olives from about 300 olive trees belonging to a Palestinian land in Qaryut village that is owned by the Palestinian citizen Jibril Mousa. 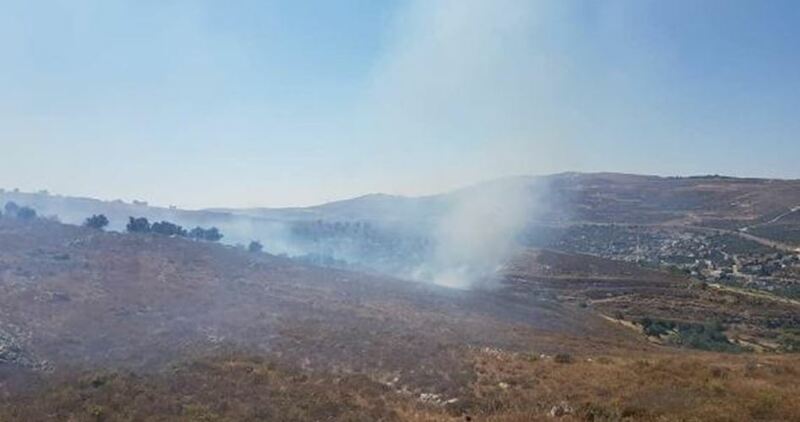 Daghlas added that a similar incident involving 120 olive trees was reported in Palestinian lands in Awarta village located near the illegal settlement of Itamar. According to the human rights activist Zakaria al-Sadda, Mousa's family were supposed to pick their olives next Sunday after they have managed to obtain a permit from the Israeli authorities, but they lost their whole harvest of olives. Mousa's family were previously exposed to multiple attacks and received threats from Israeli settlers to destroy their lands. 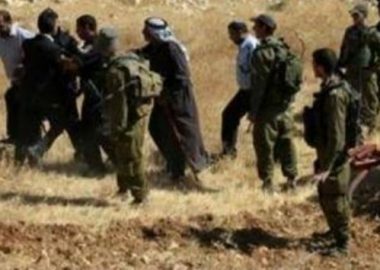 A group of Israeli settlers on Friday afternoon stole olive crops from Palestinian lands in Awarta town to the south of Nablus city. 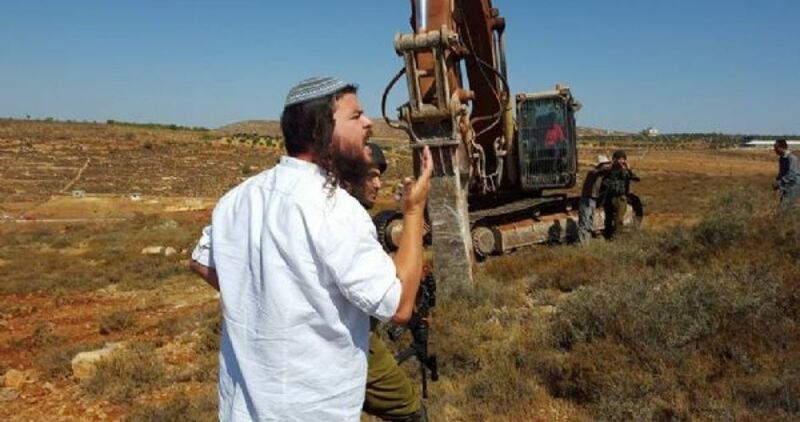 Eyewitnesses reported that a number of Palestinian activists managed to record a video of a group of settlers stealing olives near the illegal settlement of Itamar. The Palestinian researcher, Khalid Ma'ali, said that the Palestinian lands adjacent to Israeli settlements or located behind the separation wall are the most vulnerable to such thefts which occur every year especially in the southern area of Nablus province. Ma'ali pointed out that Palestinian farmers during the olive harvest season suffer heavy losses that increase each new year because of the settlement expansion and the Israeli army's protection of the settlers who steal the crops.